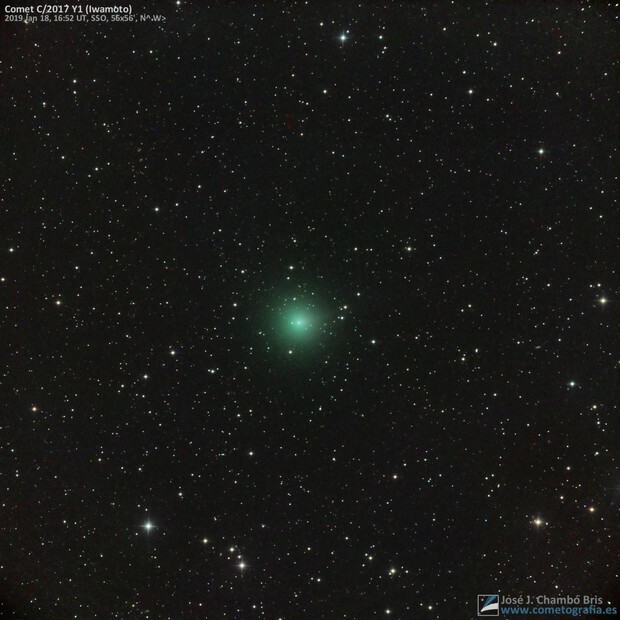 Comet C/2018 Y1 Iwamoto photographed on January 18, 2019 in a image one square degree, shows here a greenish coma of 8' angular size and a small tail 5' long. 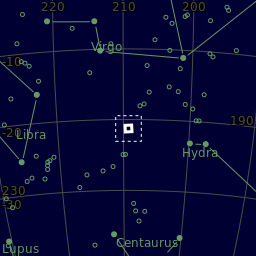 The comet have here a brightness near magnitude 9.5 and could be seen through binoculars on next February month. Telescope Planewave 20" CDK f/4.4. Remotely from Siding Spring, NSW (Australia).